Odds and evens. Come the New Year, amongst all the hype and hoola around another year, we have the Delhi Government set to tackle it’s major new year resolution: reducing the air pollution of the city. The Chief Minister Mr. Arvind Khejriwal has come up with a policy of allowing cars with odd-numbered plates to run on odd dates, and even-numbered plates to run on even dates. This method is a replication of the format used in Beijing, and something that was attempted in Mexico City to control traffic. 1. This rule is applicable only from 8 AM to 8 PM. 2. Women who are alone in cars are exempted from this rule. 3. In a medical emergency, you are exempted from this rule. 4. 2-wheelers are also exempted from this rule (what?!). In effect, with all these exceptions, I don’t think the number of vehicles on the road are drastically going to decrease. I understand that these exceptions are made in good faith, but they are still, exceptions. 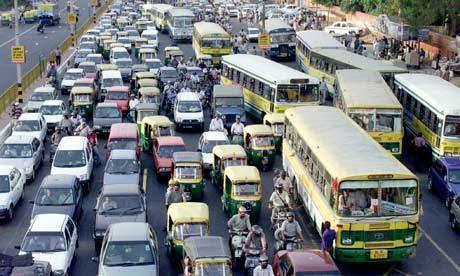 And the thing with India, and especially Delhi is that we know how to bend the rules (or “Jugaad”, if you prefer). What’s to stop a family from buying a second car with the opposite number plate so that they drive hassle free around the city everyday, for instance? Also, the rules need to take schools into consideration. School cabs are a major mode of transportation for kids to and from homes. Are they exempted too? What about school buses? These are some of the hard questions that the Delhi government needs to answer. Yes, the need to fix the air pollution problem is immediate. But the solution needs to be well thought out and should have to consider the diverse population of the city. I do applaud the Delhi government for acknowledging the problem, and I certainly expect an improved scheme after this 15 days trial period. A concerned but optimistic human. This is a post on my other blog related the the environmental issues 🙂 thought you’d like a read. Well I seriously wasn’t aware of the “exeptions”….! Thanks for enlightening me on that…and well that makes me even more sceptic of Mr Kejriwal meeting success lol ! Amazing article..kudos! Wishing Mr Kejriwal good luck :p ! Pingback: Spirit Animal Blog Award | Being ME !